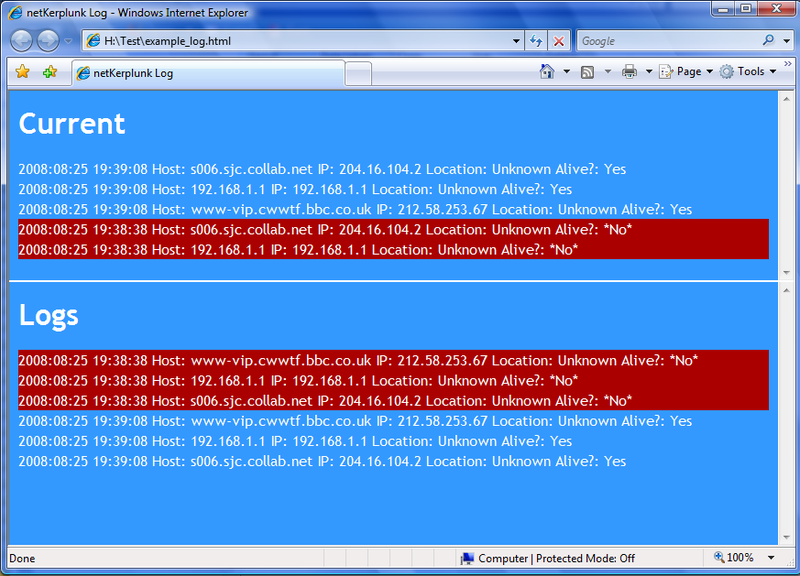 You can add entries either by host name or IP along with an optional ‘location’ by using the ‘@’ symbol as a delimiter. The ‘location’ is for your own reference. 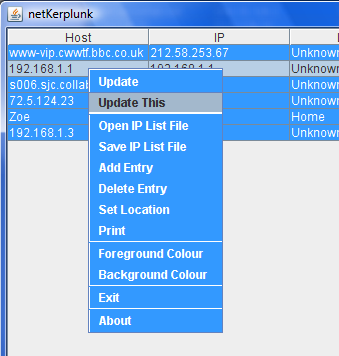 You can set automatic updating to any of the values given; netKerplunk will then update the list at that interval. Logging and Opening IPL files. Be sure to add a ‘\’ to the directory name. 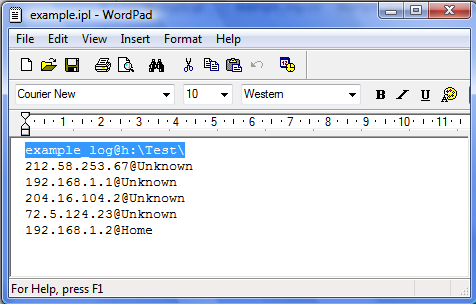 Logging will only occur when an entry is updated. 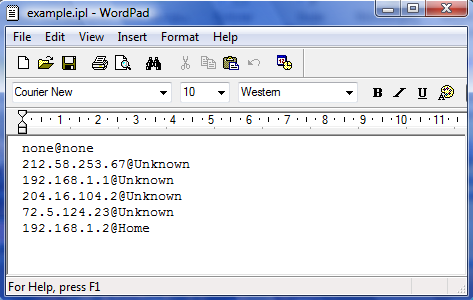 netKerplunk automatically updates the log and formats it highlighting all ‘dead’ entries. If you have a network drive or place the file on a web server, then you could view the log from any machine.